The Playroom now has a Twitter, Instagram and a YouTube to go along with its facebook account. stay connected and informed on the latest playroom news and sickle cell awareness updates by following @ThePlayroomSCD on twitter, looking up our instagram, ThePlayroomSCD, visiting our YouTube channel, ThePlayroomOnSCD and becoming a fan on Facebook.com/NoPainInThePlayroom. 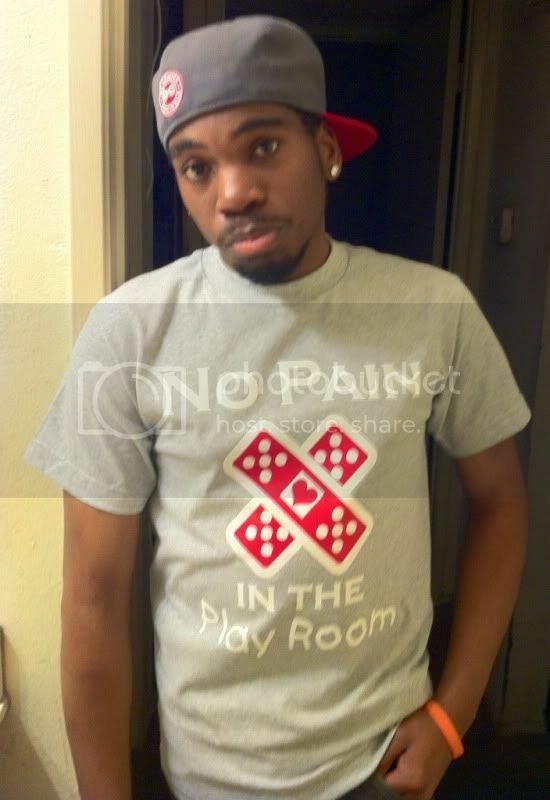 Check out Diamond Ray wearing the new Playroom shirts. with a small donation one could be yours. so stop by our shop and place your order so you can be on your way to promoting Sickle Cell Awareness and look good while doing it. shirts currently come in gray and are availbe in sizes small through 5x. ::No Pain in The PlayRoom:: is hosting a benefit concert on September 18th in Downtown Long Beach at the Blue Cafe. Concert to benefit Sickle Cell Awareness with proceeds going to The SCD Soldier Network inc.